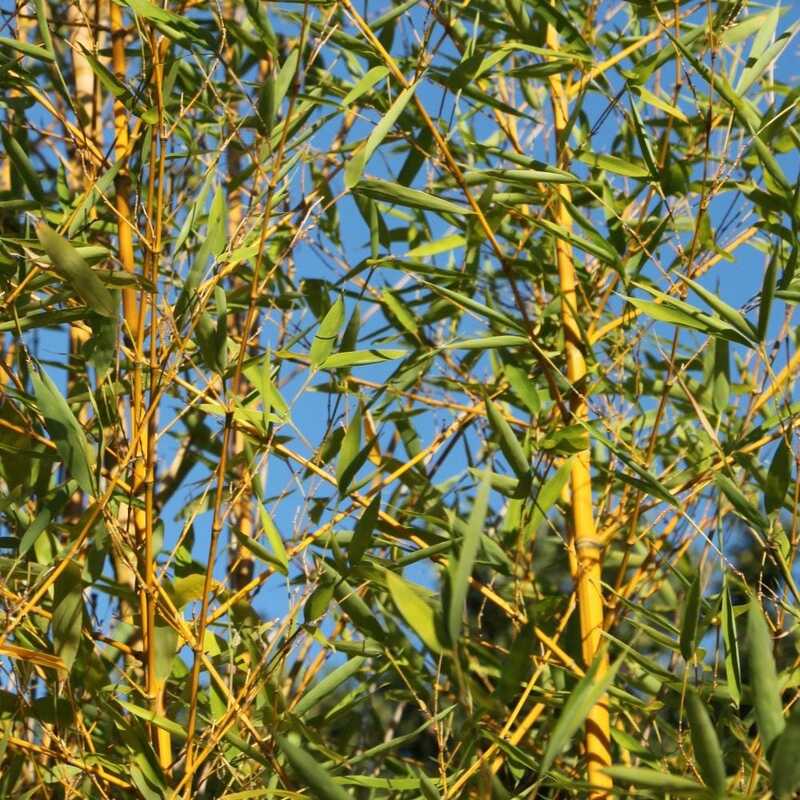 A tall, upright bamboo that is ideal for hedging or screening in larger areas. 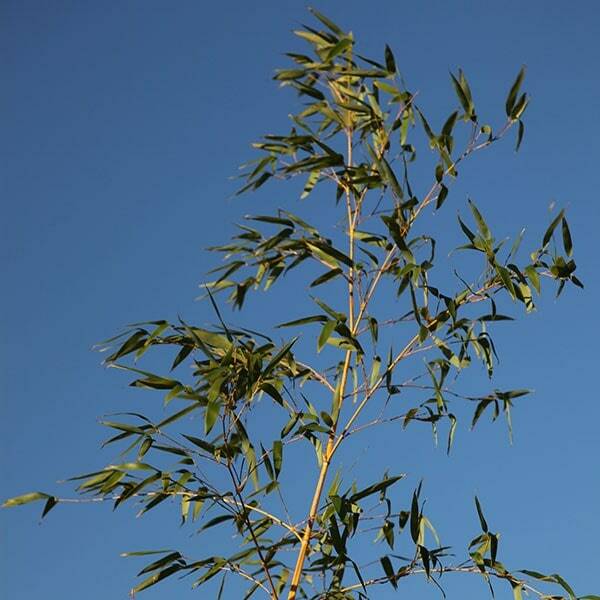 It has grooved, canes that emerge each summer bright green, but if grown in sun, will turn yellowish brown as they mature. 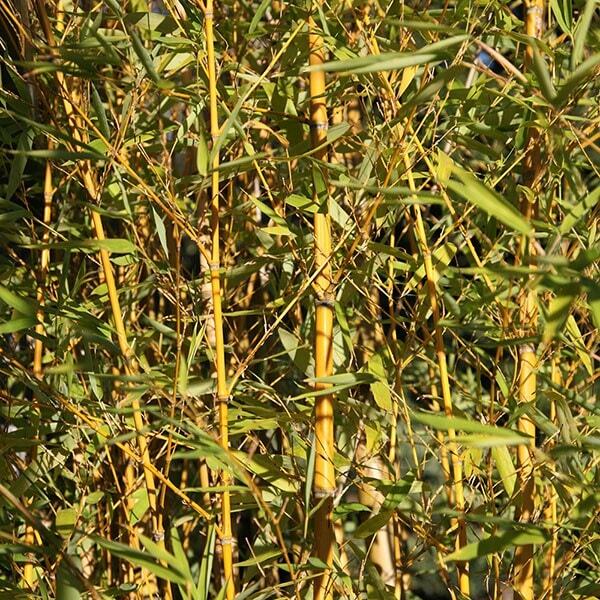 These colourful canes can really be shown off if the lower leaves are stripped, and it will then make an elegant, stand-alone specimen.